Quiet for quite some time now to work on 'work', I've been asked recently if I will be returning to jewelry making and designing with pearls and to updating the blog with pearl and jewelry information any time soon. The answer to these questions are, "Yes". In response to the above, I've been asked a few times lately about pearls and the 'do's and don'ts' of designing with them and thought I'd reach back in the archives and give you one of the 'good ones'. 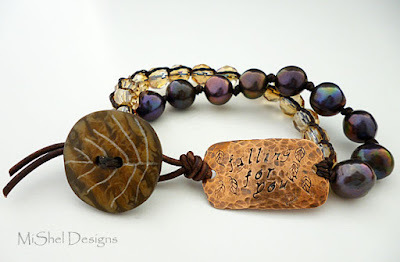 The original blog post is 'here', with even more Q and A's, but here's the answer to one of the most frequent questions I receive in regards to designing with pearls. Q: Can I 'liver of sulfur' my finished wire work piece with my pearls, or do I have to oxidize my metal first and then create my piece?" Why did I do it? Because I was lazy (just stating the truth here folks!) and I wanted to see what would happen to my pearls. Although, another time, when I left my pearls in some LOS solution for a couple of minutes, one of them had a dullness to their nacre that wasn’t there prior to the LOS dip and one time it even turned a white pearl a rather dull, gray color. It was hard to see right off the bat, but in certain lights you could tell it had lost its original white color and that something was a bit ‘off’. 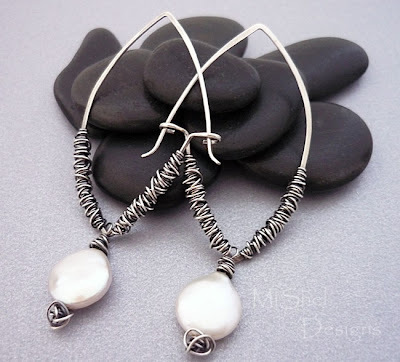 Okay, so now you're ready to go and have a little 'blackening' fun with your silver and pearl designs, right?! Go ahead - be brave and have fun! 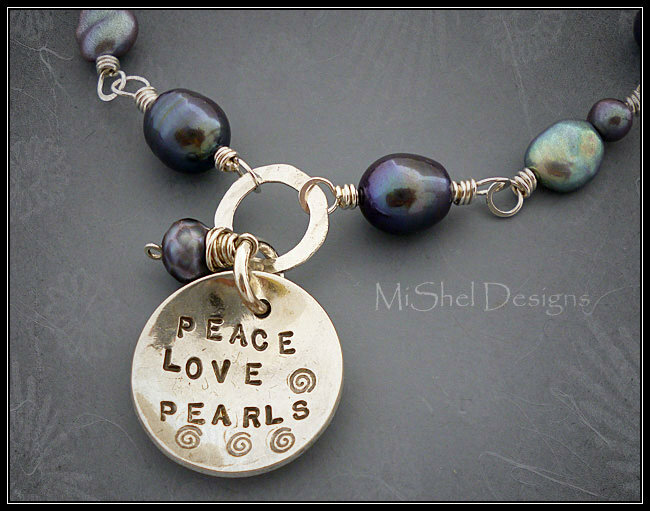 Peace, Love and Playing with Pearls!! These are all so beautifull! Great! Love it when your posts pop up in my inbox! Hope all is well with you and looking forward to seeing more of your designs in the future. Thanks Patti. Oh my,...I have dipped turquoise into LOS once - you're right - not good!! LOL!! Hello dear. Thanks for sharing this important information about pearl. It’s really important for me. My sister loves to wear pearl necklace. I bought a beautiful wedding pearl set from “Timeless Pearl” for my sister’s wedding. But she was so worried that how to take care of her jewelry set. But now your suggestion will definitely help her. Your above collections are so beautiful. Keep blogging dear.